Needle punch carpet construction (several processes, each with different names) is an assembly of fiber webs compacted and interlocked, using barbed felting needles. Needle punch carpet technology enables needle punch carpet to be printed, flocked and embossed. Needle punch carpet can have different textural effects, such as corduroy, and can be attained by mixing fiber deniers and angling the needle in various ways. A coating of weather-resistant latex or similar material is applied to the back. Needle punch carpet therefore, using this process, can be purchased at a relatively low-cost, and is used mainly for indoor- outdoor carpet, artificial grass surfaces and some carpet tiles. Originally this process was used to construct hair carpet pads which, although still made, are seldom found in stores. If you are looking for a gorgeous needle punch carpet, you may want to see Wiltons. The Wilton power look weaves the wool and creates the most beautiful patterns. If you like a trellis design or an intricate floral there are many needlepoint to choose from. Many patterns also have coordinating borders which can be installed around the perimeter of your room or used to make a beautiful finished rug area. Using this method, hundreds of barbed needles force fine synthetic fibers through a backing material. The resulting thin buy dense fabric is then fixed onto a fairly rigid backing, such as vinyl. 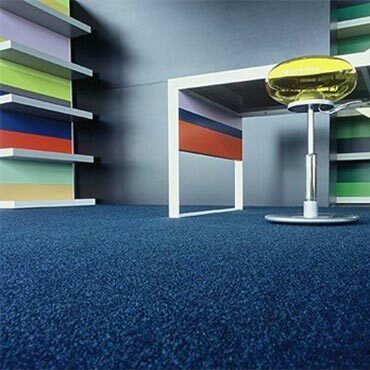 This type of carpet is used mainly in commercial interiors.